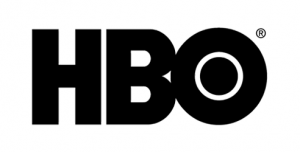 MIAMI – HBO received 22 Primetime Emmy® Awards, the most of any network for the 15th consecutive year in a row, in the 68th Annual Primetime Emmy® Awards competition. Game of Thrones led all programming with 12 Emmys®. 12 Emmys® for Game of Thrones, including: Outstanding Drama Series; Outstanding Directing for a Drama Series (Miguel Sapochnik); Outstanding Writing for a Drama Series (David Benioff and D.B. Weiss); Outstanding Production Design for a Narrative Contemporary or Fantasy Program (One Hour or More); Outstanding Casting for a Drama Series; Outstanding Costumes for a Period/Fantasy Series, Limited Series or Movie; Outstanding Single-Camera Picture Editing for a Drama Series; Outstanding Makeup for a Single-Camera Series (Non-Prosthetic); Outstanding Prosthetic Makeup for a Series, Limited Series, Movie or Special; Outstanding Sound Mixing for a Comedy or Drama Series (One Hour); Outstanding Special Visual Effects; and Outstanding Stunt Coordination for a Drama Series, Limited Series or Movie. 3 Emmys® forLast Week Tonight with John Oliver including: Outstanding Variety Talk Series; Outstanding Writing for a Variety Series; and Outstanding Picture Editing for Variety Programming. 3 Emmys® for Veep, including: Outstanding Comedy Series; Outstanding Lead Actress in a Comedy Series (Julia Louis-Dreyfus); and Outstanding Casting for a Comedy Series. 1 Emmy® for Girls: Outstanding Guest Actor in a Comedy Series (Peter Scolari). 1 Emmy® for Jim: The James Foley Story: Exceptional Merit in Documentary Filmmaking. 1 Emmy® for Project Greenlight: Outstanding Picture Editing for an Unstructured Reality Program.